The museum has an extensive collection of photographs, negatives and photography equipment. Within the collection are the portraits, landscapes, studio work and popular postcards by the Pickering photographer Sydney Smith (1884- 1958). 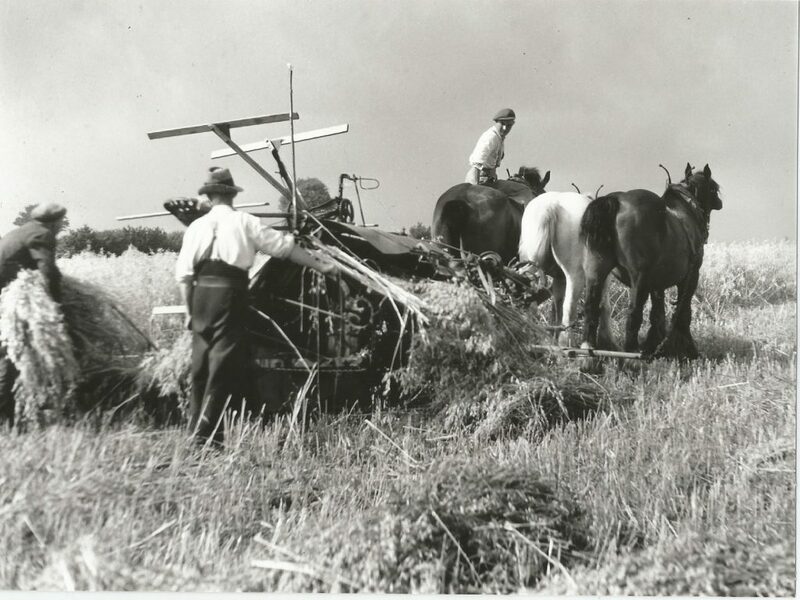 Between 1900 and 1956 Sydney Smith, captured and recorded every aspect of rural life in this part of Yorkshire. 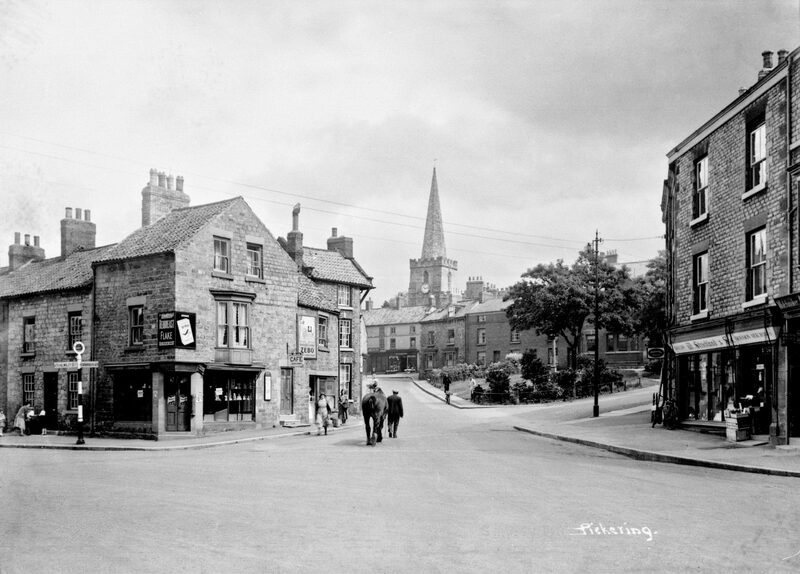 His work has provided us with a unique record of life in and around Pickering, capturing people, events and landscape. Sydney and his wife Maud lived above their studio in Pickering forty years, with Maud running the photography business and taking photographs herself whenever Sydney was unable to. A number of Sydney Smith images can be seen on display around the museum. The Sydney Smith Collection is copyright of The Trustees of Beck Isle Museum and Mrs. Barbara Sokol. This image shows Mr Bert Eddon of Farwaith on a horse called Captain. Mr Thomas Robinson holds a sheaf of corn and Mr Herbert Dykes follows behind the binder. 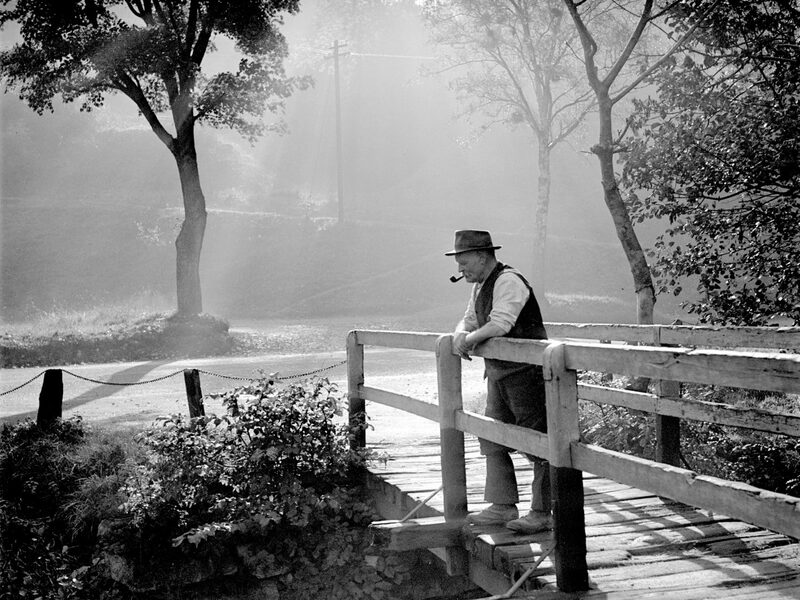 This image shows Mr Jackson, a retired quarry worker, smoking a pipe at Newbridge.